Is The Sony a7R Right For You? We are SO EXCITED that we are offering you a choice of 3 amazing cameras with our current camera giveaway! Have you entered yet, if not you can do so here and you will have a chance to win a Sony a7R, a Canon 5DS R or a Nikon D810. Pretty awesome! With 3 great camera choices, how do you decide which one is best for you and your photography? How could you possibly choose from those 3 outstanding cameras? We are here to help! Over the next couple weeks, we are going to talk about each of these 3 cameras and what each one offers. From there, you should be able to make a good choice about which is best for the type of photography you do. Today, we are going to talk about the Sony a7R, the world's smallest and lightest 35mm full-frame interchangeable-lens camera! Read below to hear about all the camera's great features. This new sensor has all the elements for world-class images: high-resolution, top sensitivity, extreme dynamic range, unsurpassed detail and low noise. You can expect superlative results with Sony's latest processing engine, BIONZ X that has truer color rendering, better noise reduction and faster burst mode shooting. Their latest Exmor sensor features higher speed from parallel signal processing and faster signal conversion. This makes it effortless to achieve the detail needed for demanding professional applications. Two further advances make this sensor have such great performance: compressing pixel circuitry increases the light collected by each pixel, which expanding the individual photodiodes improves the sensor's dynamic range. This camera features enhanced detail reproduction along with diffraction-reducing technology that creates more natural outlines and reduces blur from light points. You will also enjoy noise reduction plus 16-bit processing and 14-bit RAW output. The Sony a7R has a lightweight boy that is 25% smaller than leading DSLRs, perfect for a busy photographer on the go! The camera is built from magnesium, the world's lightest structural metal. At just 465 grams with a battery and it being less bulky, there is no more reason to give up camera quality because of portability concerns. The fast BIONZ X processor plus a new spatial object detection algorithm work together to optimize control of the lens drive making it ideal for photographers. Enhancements include more accurate eye detection and lock-on autofocus. New Eye Autofocus creates sharp focus on faces even when partially turned away from the camera with a shallow depth of field. This is thanks to enhanced eye detection that can prioritize a single pupil and is PERFECT for portraiture. You can also easily keep moving subjects in focus with Lock-on Autofocus, which adjusts target frame size based on subject characteristics and makes use of a wide AF area to ensure usage of the most optimal focus point for you. Unlike a traditional optical viewfinder (OVF), which distorts bokeh through the focusing screen, Sony's electronic viewfinder (EVF) presents the image directly from the sensor, so you see exactly what the finished image will be. Find exactly what you need for your videography. With the Sony a7R, you can get an ultra-smooth look or even a classic cinema feel. You can also attach external microphones via the XLR adaptor, meter recording levels and monitor sounds with the headphone jack. Perfect!!! 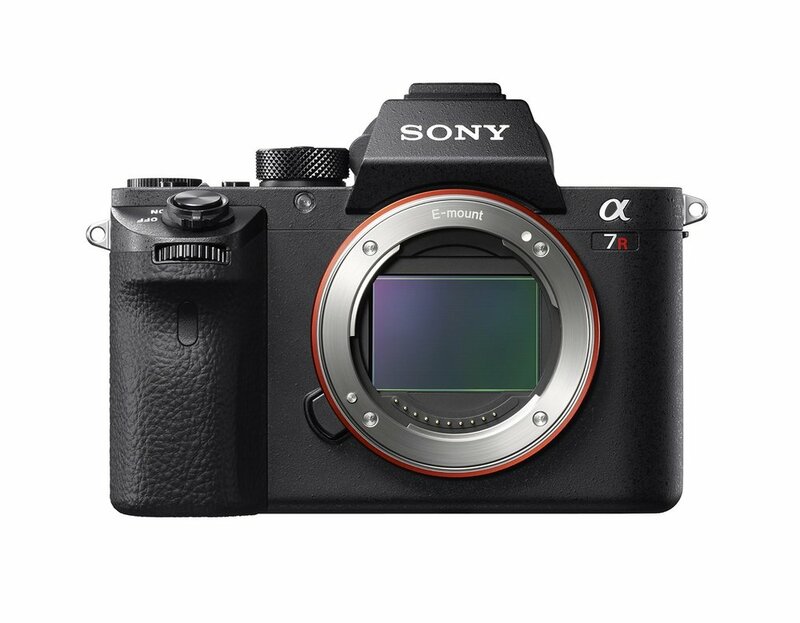 Can't wait and want to purchase your own Sony a7R now? Does this Sony camera sound amazing to you? Be sure to enter our current giveaway so you have a chance to win this camera yourself! And be sure to check back next week for information on the Canon 5DS R.